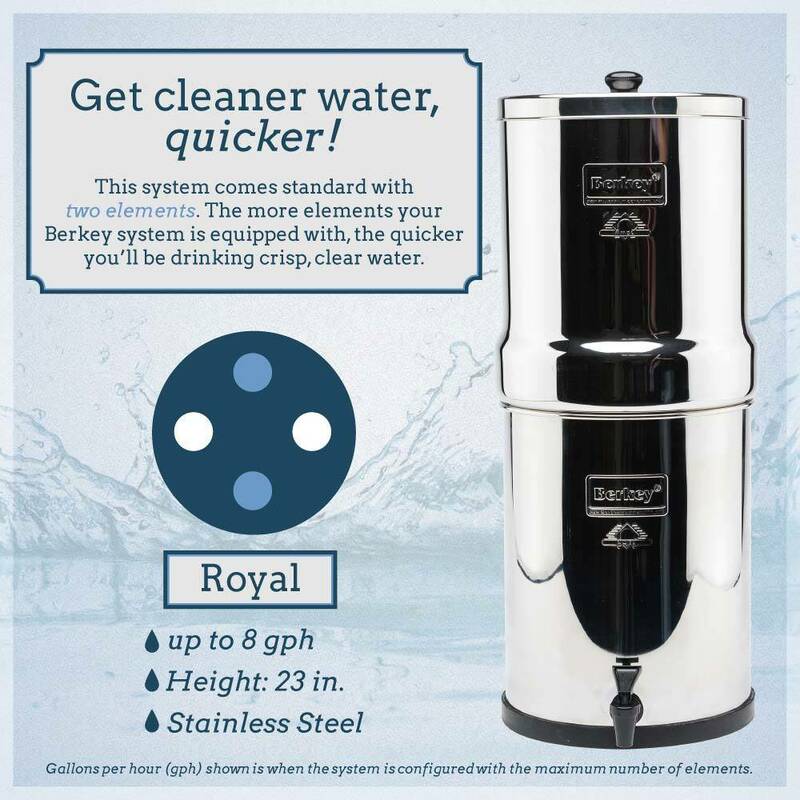 The Berkey Royal Water Filter is the big brother of the Big Berkey. 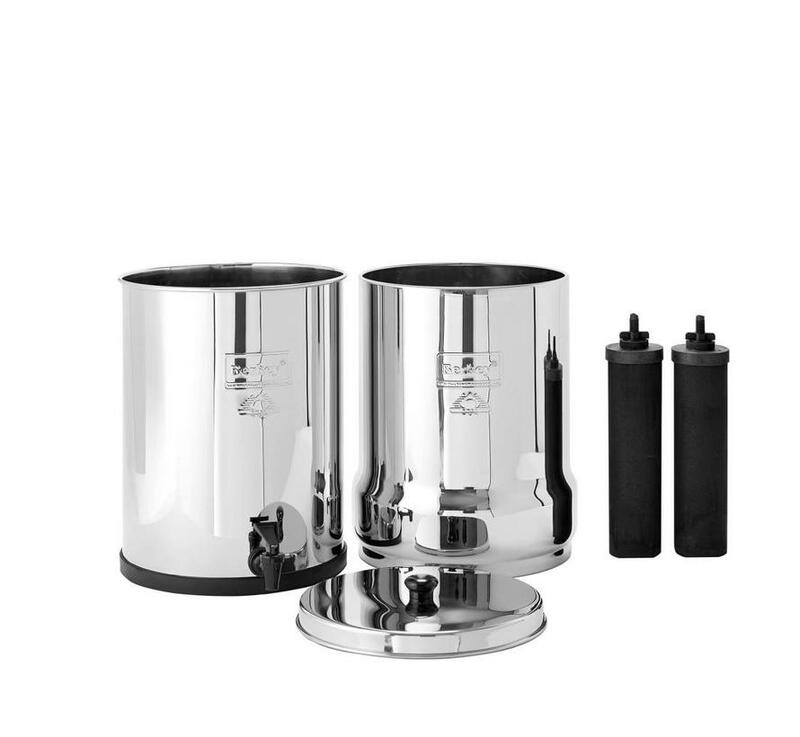 Both water purification systems filter approximately 26.5 liters per hour and have 2 Black Berkey Water filters as standard. 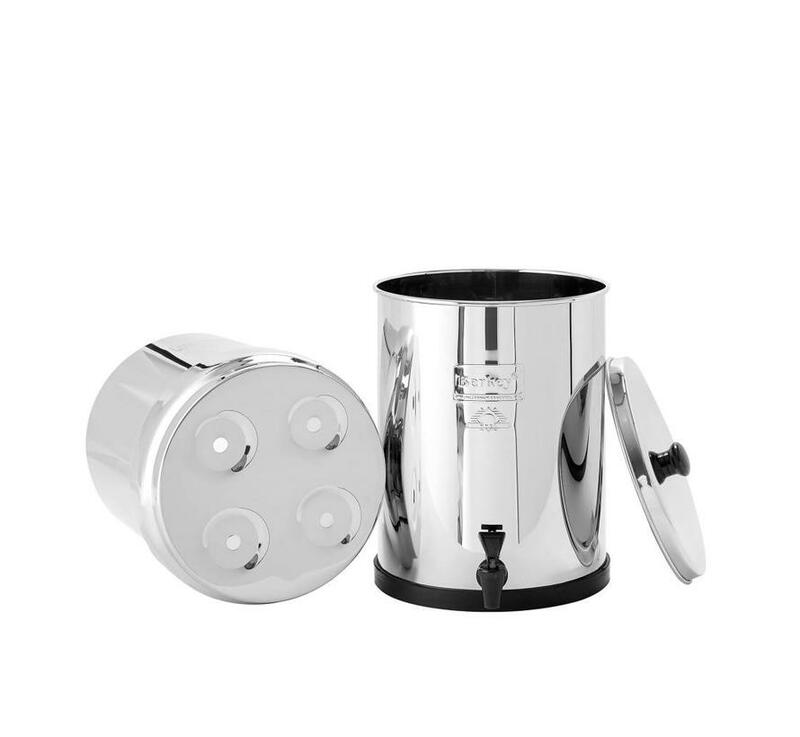 The Royal Berkey distinguishes itself from the Big by its size. This means that more water can enter at the same time and the collection reservoir for clean drinking water is also greater. The Big Berkey has a reservoir of 8.5L and the Royal 12.3L. The Big we recommend for a couple or small family between 2-4 people. The Royal is suitable for average families of 3-6 people due to its larger collection tank. All Berkey water filters filter 99.9999% of all impurities in the water. Whether you get water from the ditch on the industrial train or from the stream that runs past your house. 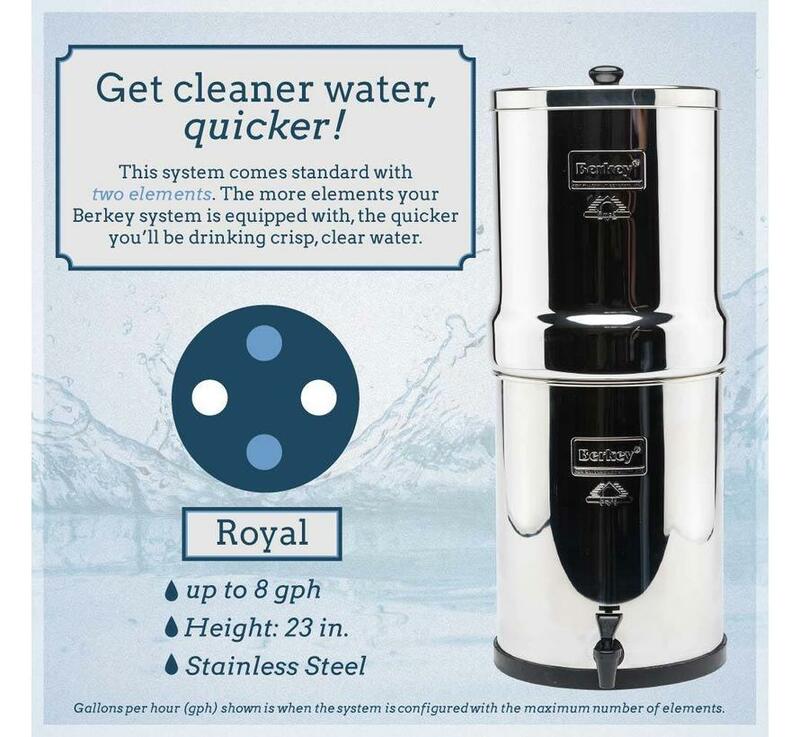 The Berkey ensures that you can enjoy safe and clean drinking water. 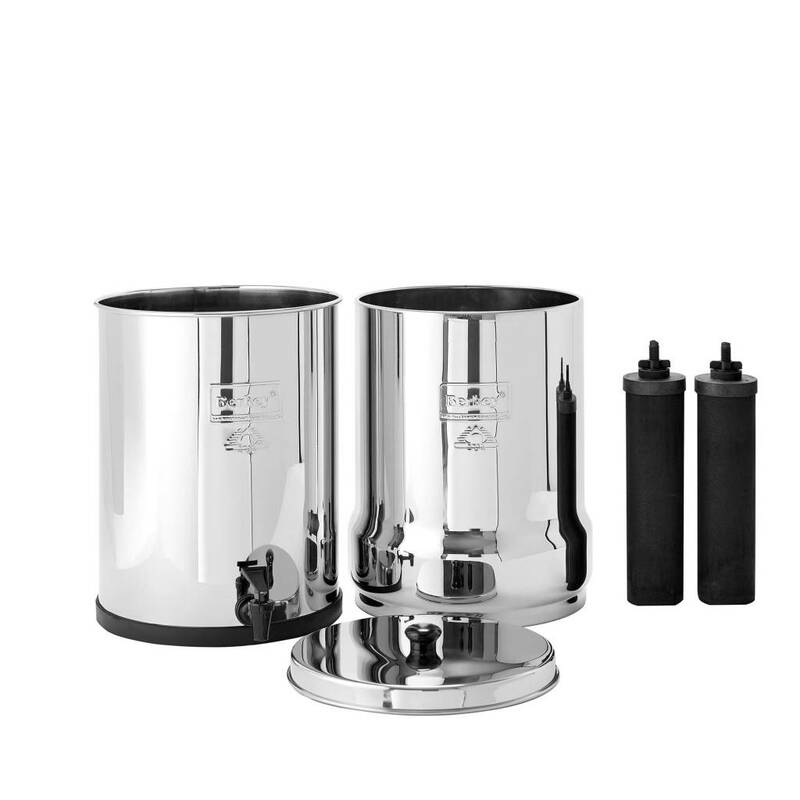 The Royal berkey is standard supplied with 2 Black Berkey water filters, which are good for a total lifespan of 22.700 liters of water. If you use 50 liters per week that means a total lifetime of almost 9 years! During an emergency, the Royal Berkey with 4 filters (2 standard included) between 100-200 people daily can relieve their 2 liters of water. 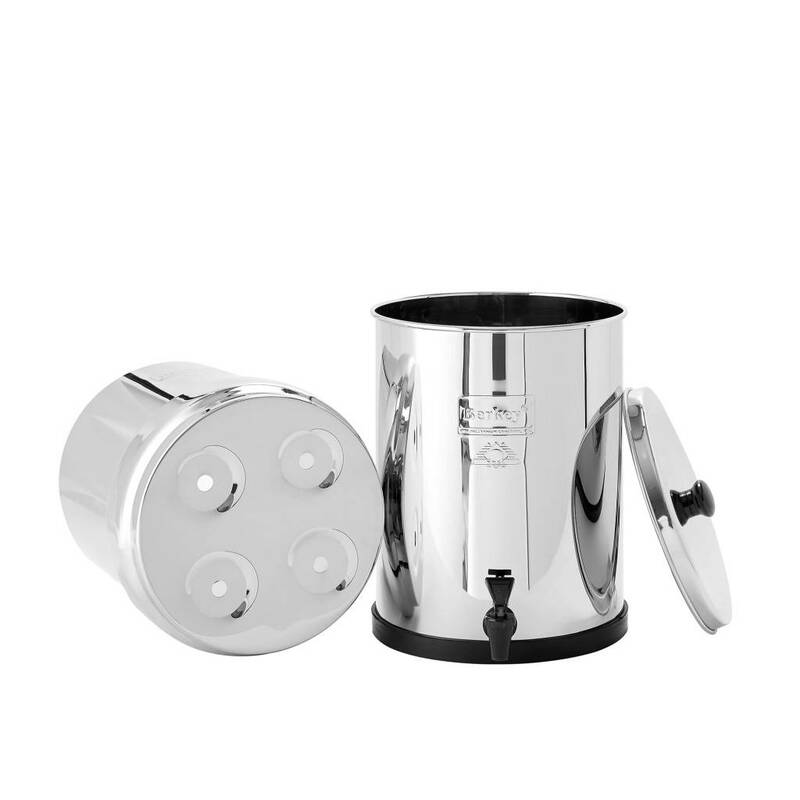 This makes the Royal Berkey extremely suitable for unite and groups of people who live together. Additional black filters can be found here. 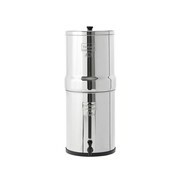 All Berkey water filters are made of 100% stainless steel. Prepz.nl is an authorized dealer of the Berkey Water Filters. By buying the Big Berkey at Prepz.nl you are assured of a 100% genuine Berkey system with warranty.